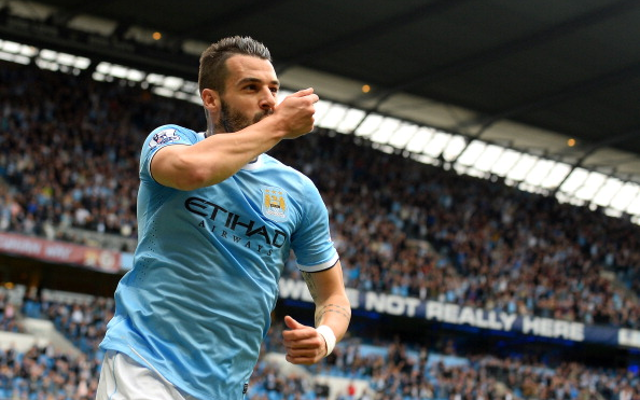 Manchester City not keeping Negredo up for sale despite interest from Atletico Madrid. Manchester City manager Manuel Pellegrini is not willing to sell his Spanish striker Alvaro Negredo this summer, reports ESPN. The Chilean boss brought the former Sevilla man to the Etihad Stadium just last season, and does not want to offload him just yet, despite reports suggesting that the 28-year old may have been finding it hard to live in England. Spanish giants Atletico Madrid are hoping to take advantage of his homesickness by making an offer for Negredo, but Pellegrini reportedly has no interest in doing away with the man who netted an impressive 23 times for the Citizens in his very first season in the Premier League. However, Negredo has struggled since the turn of the new year, and has not netted at all since January, leaving him further down the pecking order at the Etihad. Only a monumental offer from Atletico could give the Spanish champions even a slight chance to sign their striker target.